Did you know that chronic speech problems can be caused by the misalignment, or malocclusion, of your teeth? Dr. Walker of Walker Orthodontics in Lunenburg, MA knows that these and other oral health care issues can cause an orthodontic speech impediment. Do you have a lisp? Do you whistle when pronouncing certain sounds or words? Do people complain that you mumble? Then orthodontic treatments with Dr. Walker of Walker Orthodontics may be the key to regaining your clear speech, straight teeth, and healthy mouth. Bruxism. When someone grinds or clenches their teeth while they sleep at night. This can lead to a sore jaw in the morning and, if left untreated, can result in jaw disorders that affect speech. Open Bite. When the upper and lower teeth extend forward from the jaw and do not fit together optimally when the mouth is closed. The problem is rooted in habits from early childhood (for example, thumb sucking). Open bite is a common cause of speech impediments, uneven tooth wear, and can interfere with proper oral hygiene. Gaps between the teeth. When there is significant space between two teeth, or a tooth is missing. This may make it difficult to pronounce certain words or “ess” sounds. If you don’t like the idea of being treated with metal braces, there are other options for you to choose from that are more discreet. 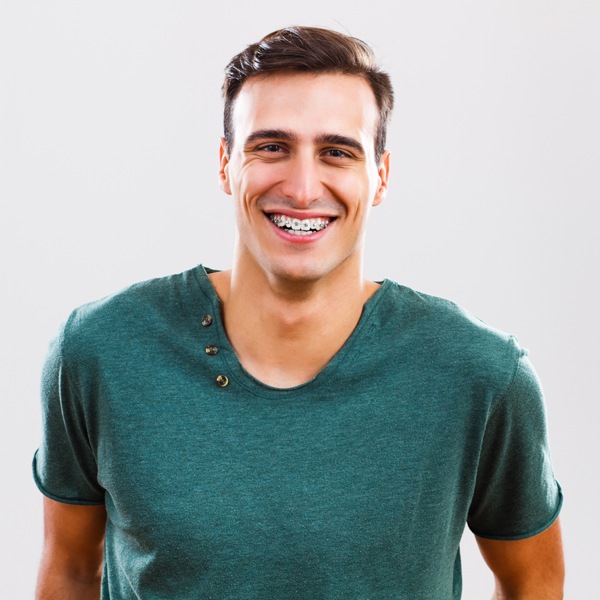 Ceramic braces, which are clear or tooth-colored), and lingual braces, which are braces that are adhered to the back of the teeth where they are not visible. To prevent your lips or cheeks from becoming irritated by your braces, dental wax can be placed over your brackets or wires. Dr. Walker and the Walker Orthodontics team will show you how. Some patients may find that their speech is inhibited due to the installation of their new braces. There are some exercises that can help a patient improve their speech while being treated by a Lunenburg orthodontist. Try speaking a little slower. You can then more easily adjust your speech to the way you want it to sound. Singing can help strengthen mouth and cheek muscles, making speech a more controlled movement. Reading aloud may help with your pronunciation and your speech projection while wearing braces.